More Unified Communication Features. Enabled. When you want more from your Skype investment, our Microsoft® Skype for Business™ Certified Professionals will help you discover how to leverage Skype’s many features and plan your path to get there. If you’re already using Skype for Business, but want to enable even more of it’s features, Imaginet’s Skype for Business Discovery Workshop explores all of your options. 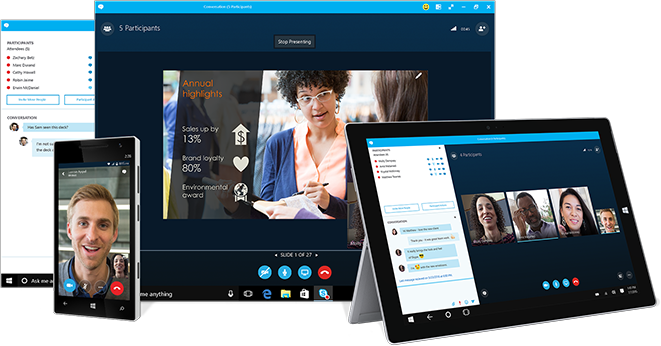 Our Microsoft® Skype for Business™ Certified Professionals will help you discover how you can better leverage Skype’s many features and plan out a path to get there. Do you already have Skype for Business, but are experiencing performance issues that disrupt work daily? See our additional Skype services.